My name is Darlene. I am a wife, mother, dog and cat lover, coffee drinker, and former Irish dancer. 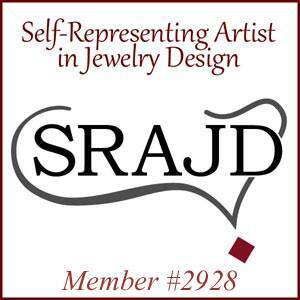 I lovingly make each item of jewelry by hand in my home studio in the suburbs outside of Philadelphia. Every design is inspired by my love of Ireland and by my Irish heritage. At Handmade by Kennedy I can offer you one of a kind jewelry artfully made with attention to detail. I invite you to discover the humble beauty of Connemara marble in my rustic designs. This "Irish Gemstone" is found only on Ireland's wild Atlantic coast and is a natural choice for handmade jewelry. I strive to make you feel happy and comfortable wearing a charming piece of jewelry.